The Orange BRITS - Get Set for Britain’s Biggest National Snow Sport Event, 11-18 March 2006 The Orange British Snowboard and Freestyle Ski Championships will be taking place in Laax, Switzerland, where all the action that matters will see Britain’s best, crowned with acclaimed national titles. Being staged 11–18 March 2006, the Orange BRITS is open to all ages and performance levels, giving unknown amateurs the chance to perform against top pros, current champions and GB Olympic hopefuls. 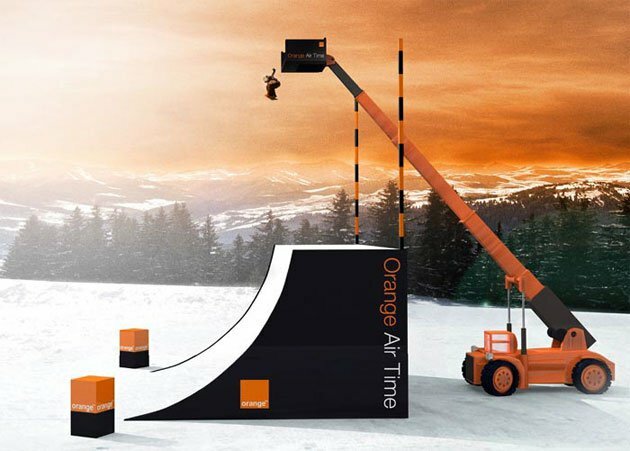 Snowboarders and skiers will compete for titles in Boardercross / Skiercross, Halfpipe, Slopestyle, Big Air and now organisers have just announced the introduction of a new competition, The Orange Air Time, never before attempted in Europe… Records are going to be set. The Orange Air Time will see an elite group of British skiers and snowboarders jump from a crane platform suspended high above a freestanding snow quarter pipe, to land safely away. Starting at a qualifying height of 5m above the already huge quarter-pipe, competitors jump one by one through each round, willingness to jump and clean landings permitting, until one competitor is left standing. With the crane capable of extending to 20m high, roughly equivalent to a 6-storey building, it’s not for the faint-hearted. This season more than 1,000 people are expected at the stunning Laax resort for The Orange BRITS and the standard of riding is expected to hit new highs with the event attracting more talent than ever before - including Lesley McKenna, Kate Foster and Dan Wakeham from the GB World Cup team fresh from the Winter Olympics. In recognition of the talent expected at this year’s event, title sponsor Orange has introduced a new award for 2006. The Orange Brightest Talent Award will go to the snowboarder or skier judged to have the brightest future in the sport. The entertainment continues throughout the night as the Orange BRITS DJ’s and especially invited music acts take to the decks in Laax’ Riders Palace and the famous ‘Crap Bar’. Headlining acts to be announced.